Nice old American kung fu movie - apparently a classic. 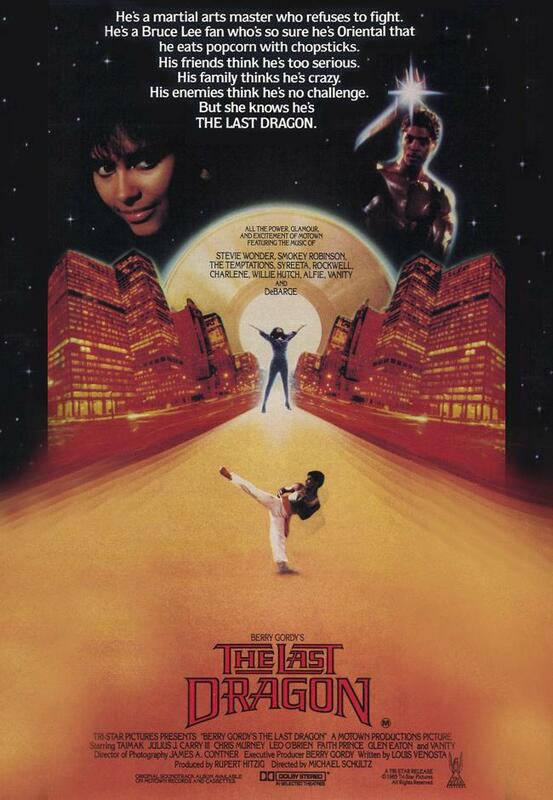 We had a kung fu theme evening with a group of film-lovers, and we saw this old flick. Before we started the movie, one of the guys did a short presentation of the movie, the actors, the plot and how he remembered watching this for the first ten times as a kid. That really set the mood for a pretty amusing kung fu movie. The plot is as it is an almost all these kind of movies - a young kid training to become a master at martial arts, he meets a pretty girl and a major kung fu showdown is bound to happen before they get each other. Fairly standard and fairly good. The acting is extremely poor, but I guess most of it is due to the film being a b-movie from from the 80'ies. It is just as you would expect. The lead role is played by Taimak. It is not often that these kind of movies are headed by a black actor, and for some reason it never caught on. Martial arts will always belong to Asian people. Taimak's acting is not that convincing, but in real life he is a highly decorated martial artist. Unfortunately this is not really shown in the movie. There are a couple of nice fight scenes, but the filming does not live up to today's standards. As this an old movie, it can not be compared directly to movies from today. If you base it on a relative scale and combine it with a cult-classic value, you will end up with a pretty decent score. I might not watch it again, but I enjoyed watching it.